1 of 2 In a medium bowl or food processor, combine parsley, shallot, garlic, vinegar, olive oil, salt and pepper. 2 of 2 Mix thoroughly, or pulse to combine. 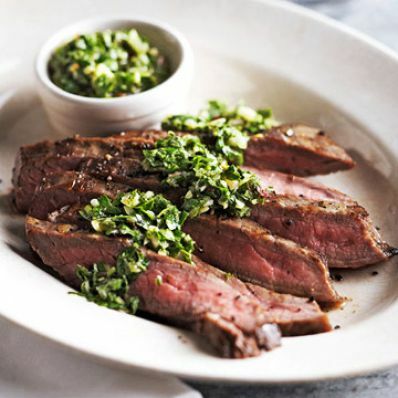 Use as a marinade or serve over grilled meat.